Anime/Manga ► Tegami Bachi (Letter Bee): HEART IS AN AWESOME POWER! 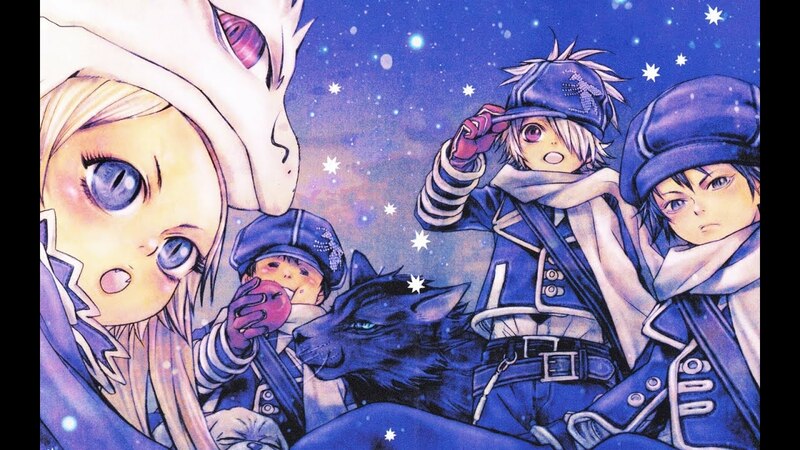 Tegami Bachi is a series that chronicles the tale of a boy born on the Day of the Flicker known as Lag Seeing. Lag is a boy born in Amberground, a world that is kept going by the power of a man made sun situated in the capital of Akatsuki. He aspires to become a member of an elite cadre of mailmen known as a Letter Bee after being delivered as a letter himself by a Bee named Gauche Suede. The job of a typical Bee is to deliver the Hearts of the people that are within the letters that they write and deliver those letters to the intended recipients. That being said, there's a reason that the Letter Bees are required to be an elite cadre: Gaichuu. These creatures feed on the Hearts of people. Since towns full of people and letters filled with peoples' Hearts are sought out by the Gaichuu, the government sends the Letter Bees to defend the people and their letters. Bees are able to harness the power of their Hearts into a Heart Bullet to fire back at the Gaichuu. In spite of this - or perhaps because of this - Lag Seeing wishes to become the Head Bee. It appears that a new recruit has been partially accepted into the Bee Hive: a girl named Chico who has a rabbit's tail and ears and has ties to Largo Lloyd. The latter considers her to be integral to the new revolution that he has begun for Reverse since he no longer believes that Lag Seeing is able to do what he feels needs to be done to save the land of Amberground. To put things very bluntly, it has been revealed that there is technically no Empress and no man made sun, but rather a sleeping Gaichuu that rests within the sphere of the sun. The people that are sent to the capital are in actuality just consumed instead. Those that remain are tuned into ammunition for the Head Bee to use to fire a Heart Bullet at the sleeping Gaichuu within the sun. Lag has decided to go on a journey to discover a way to kill this Gaichuu without sacrificing human lives, but in order to do this it is possible that he may very well lose his human form seeing as he is technically a spirit insect. After 358 days (yes, really), a Gaichuu attacks Conner and Zazie...only for their friend Lag and his Dingo Niche to appear on the scene. I hadn't had a chance to look into the anime, but from what I understand, it eventually diverges from the manga and makes at least two characters (I may or may not be correct in assuming Garrard and Hazel) are antagonists.